Poa annua is the most common winter weed in southern lawns. This grass is also commonly known as annual bluegrass and is distinguished by the boat-shaped leaves on the plant, with the tip of the leaf curving up like the bow of a boat. Poa annua is a cool season grass that germinates during the early fall when soil temperatures drop below 70 degrees. Each small plant can produce around one hundred seeds in at little as eight weeks. These seed heads give the undesirable appearance in lawns. This type of weed grows best in areas that are shaded and moist and is very tolerable of areas of compacted soil. Because of its shallow root system, lawns that get frequent rain or irrigation are more susceptible to the outbreak of its growth. Pre-emergents stop the weeds from germinating and producing seeds, however, it does not kill weeds that are already established in the turf. 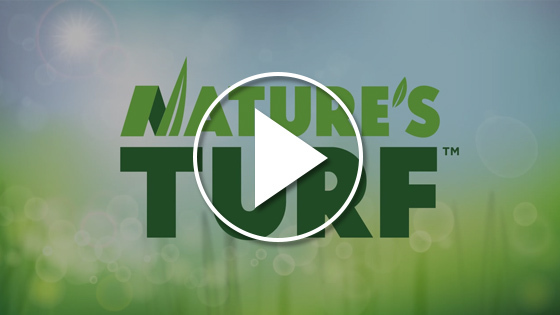 Because pre-emergence applications are a preventative for your lawn, it is important to use them during the correct time. Lawns should be treated during with an initial pre-emergent late summer, at least six to eight weeks before the expected germination of the weed. A second application can then be made in the fall for extended control that will deter late germinating Poa annua the following spring. At Nature’s Turf, we include pre-emergent treatments to prevent this and other winter annuals as part of our lawn care program. Do NOT over water the turf especially the shady areas of the lawn, instead use deep but infrequent irrigation.